Joyeeta Das is an entrepreneur that built a career in the technology sector. Her early work was defined by progress in the engineering and program management ranks in Fortune Ten tech companies. She founded and exited two successful startups, one in tech sector and one in non-profit. She holds a degree in Electronic Engineering as well as a degree in Physics and an MBA from Oxford University where she was awarded the Said Scholarship and also received a Fellowship for the Entrepreneurship Centre. 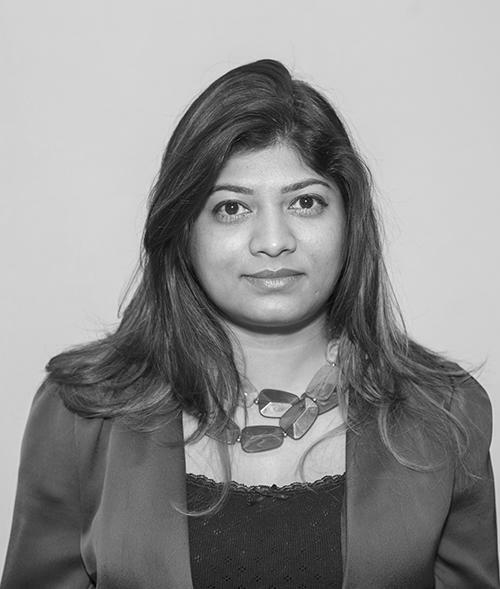 Joyeeta is in “MIT 35 under 35” shortlist, a Tedx speaker and is also an ambassador for Innovate UK’s “Women In Innovation”, she volunteers with numerous charitable organisations and has been selected to be a diplomatic representative at UK-Brazil/ Canada/USA trade delegations. She received such awards as “Top 100 techie in UK” by MSDUK 2017, “Top 100 Asian Tech Stars in UK Tech” 2017, “Top 10 Women in IT” 2018.